This guest post is written by Daniel A. Crane, who is Professor of Law at the University of Michigan Law School. He is an expert in antitrust law. These claims are overblown. Google’s competitors naturally fear Google’s emergence as a formidable rival in travel search, but that is hardly a reason to block the transaction. Indeed, it’s a reason to approve the deal. The most likely scenario is that Google’s acquisition of ITA would allow Google a quick and efficient entry point into travel search that would expand consumer options and increase rather than decrease competition. Fairsearch has not articulated a clear and economically supported argument as to how the acquisition would harm competition, but two likely arguments spring to mind. The first is that by acquiring the software “backbone” powering travel search, Google will be able to squeeze out its rivals over time. Google could ostensibly do this by refusing to license ITA’s QPX product to travel search sites or by refusing to give them access on terms as favorable as Google’s own search site receives. While there are a number of theoretical arguments suggesting that Google would not have an incentive to do that, the most compelling argument is factual. ITA does not power most of the major travel sites. Out of the top five travel search sites, only Orbitz uses QPX. Expedia uses its own proprietary software, Priceline uses the E-Pricing system (owned by Travelport), and Travelocity and Yahoo use ATSE (owned by Travelocity). It’s hard to argue that QPX is the crown jewel asset of travel search when only one of the five major players currently uses it. The second possible argument is that Google will use its dominance in travel search to steer consumers to its new travel search site. Under this scenario, when a consumer trustingly enters travel-related search terms into Google (say, “New York to Rome”), Google will steer the consumer to the Google travel site and blacklist rival sites. It’s plausible that Google will favor its own service in search hits, but it seems farfetched that such a move would lead Google to monopolize travel search. Only a small percentage of the traffic into travel sites, ranging from 4% for Bing Travel to 12% for Expedia, comes from Google. Consumers are accessing travel search sites from many different origins and it seems unlikely that Google could take over travel search by steering consumers from Google to its own travel site. More generally, the argument that Google should be prohibited from integrating vertically goes well beyond blocking the ITA deal. If the problem is that by vertically integrating Google might favor its own services, then Google should not be allowed to vertically integrate whether by acquisitions or by internal development. If accepted, that argument would set a dangerous precedent for the entire Internet. It would suggest that once a player becomes dominant in one facet of the Internet, it cannot move into adjacent spaces because the Internet’s inherent interconnectedness makes dominance spread easily. Such a principle of economic engineering would freeze innovation and progress on the Internet by forbidding the spread of success. 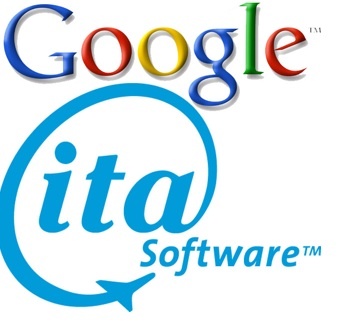 Google says that it has plans to use ITA to improve the flexibility and quality of travel search. The integration of Google’s search tools and ITA’s interface to airline travel data has a lot of promise. In the absence of a compelling antitrust reason to block the deal, the presumption should be in Google’s favor. To be sure, antitrust principles have an important role to play in preserving the Internet’s openness. Google is under antitrust scrutiny around the world for a variety of its practices. Whether or not “search neutrality” is a viable and legitimate antitrust principle remains to be seen. 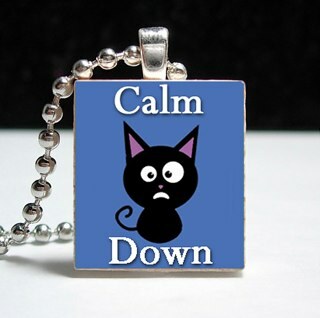 In the meantime, there is no compelling reason to hold up the ITA deal.